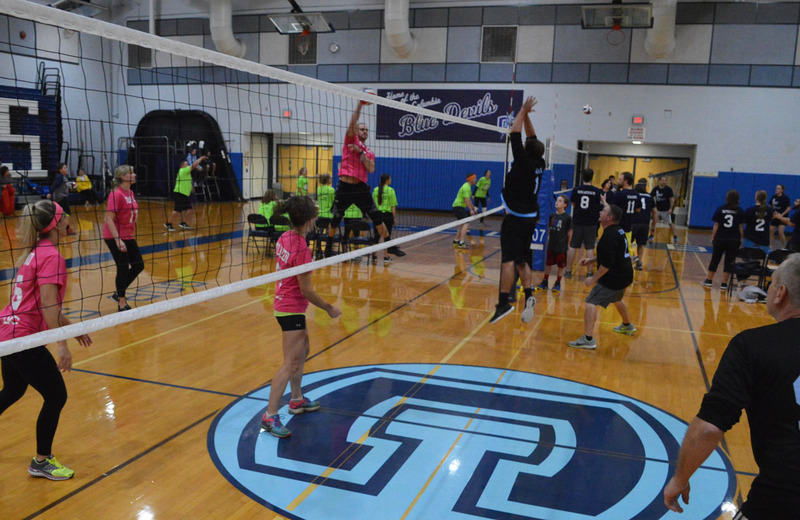 Teachers from around the district will be representing their schools in the annual Faculty Volleyball Battle on Wednesday evening at 4:30 p.m. in the Goff Middle School gymnasium. Each teacher is donating $10 and a canned good for participating. Donations will go toward the Peg Girtler-Siver Memorial and canned goods will be collected for local food pantries. Students and their families are invited to cheer on their schools at this fun event. Admission is free and donations will be accepted at the door. Seating will be limited because the bleachers will not be pulled out.